After several years of political turmoil, Hawaii was officially annexed to the United States in 1898. A commission was formed to decide how to best govern the new territory. The system of government ultimately devised for Hawaii was quite different from that used for U.S. states. Established under the Organic Act of 1900, it created three arms of government: a Governor, a Delegate to Congress, and a territorial Legislature. The Governor was appointed by the United States President to a four-year term which granted him much more power than state governors. In addition to controlling all administrative appointments, he also held the power to veto legislation, was immune from impeachment, and could declare martial law. The Delegate and Legislature were elected by majority vote of all male citizens. However, in order to vote, citizens were required to read, write, and speak English. This literacy requirement effectively prevented many Hawaiians and other non-white citizens from voting. Plantations also only permitted candidates backed by the Big Five companies to campaign on their property, which made it difficult for others to get elected. However, former supporters of Queen Liliuokalani created the Home Rule Party and managed to get their candidate, Robert Wilcox, elected as the first Delegate. Wilcox had been instrumental in planning the failed 1895 revolt against the white-run Republic of Hawaii. Although he fought for many issues in the interest of native Hawaiians, the U.S. Congress refused to act on any of his ideas. After his term ended in 1902, Prince Jonah Kuhio replaced him as Delegate. Though he was an heir to the former throne, Kuhio had been convinced by the Big Five that protecting their interests would benefit the economy, and therefore, the Hawaiian people. He did sometimes advocate for his native brethren, which caused occasional friction with the Big Five; however, he supported their goals enough to be continually re-elected. He remained Delegate until his death in 1922. Another provision of the Organic Act declared all citizens born or naturalized as Hawaiian citizens before the annexation to be American citizens, as well. New immigrants, however, could not become American citizens. The sugar plantations, which had been Hawaii's main economic force since the 1850s, continued to expand. A few small pineapple operations existed in the previous century, but inefficient canning procedures had kept the industry from growing. 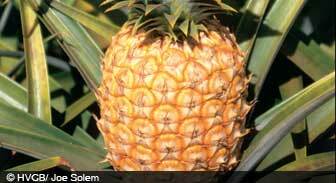 Around 1900, innovative canning methods spurred the swift expansion of pineapple plantations. Pineapple exporting became big business. With the old sugar plantations still growing and the new pineapple plantations booming, the need for workers increased. Between 1900 and 1908, 8000 Japanese workers immigrated to Hawaii. The Portuguese also continued to arrive, as did smaller numbers of Koreans, Puerto Ricans, and Filipinos. All of these groups were paid differently, leading to tension and division among them. Because workers now had some protection under U.S. labor laws, playing ethnic groups off against each other benefited the plantation owners. The last thing they wanted was one large, unified group of workers demanding better wages and conditions. In the U.S., many whites held racist sentiments. The large influx of Japanese immigrants both to the mainland and Hawaii led white supremacist groups, labor unions, and politicians to demand limits. The Gentleman's Agreement, signed by the U.S. and Japan in 1908, was designed to stem the tide of Japanese immigration. Under the agreement, the only laboring class Japanese permitted to emigrate to Hawaii were former residents, and the parents, wives, and children of residents. However, the Japanese relied on arranged marriages. A marriage was considered legal when the bride's name was entered in the family registry; therefore, the bride and groom didn't need to know each other before the marriage. In Hawaii, this led to "picture brides." Pictures were exchanged between the Japanese workers and prospective brides back home. After the marriages, the brides came to Hawaii, where they met their new husbands for the first time. Because of this, the Hawaiian Japanese population actually increased. Although all the laborers lived and worked in poor conditions, the inequities in pay scales and status between the different ethnic groups usually kept strikes limited to one group. Japanese and Filipino workers held several strikes between 1909 and 1920. These strikes weren't very successful, but occasionally they helped improve conditions. Native Hawaiians weren't living in good conditions, either. Their numbers had decreased drastically due to diseases brought by Westerners, and most of them lived in poverty. After the Great Mahele allowed foreigners to buy land in 1850, most of them had lost their land. Delegate Kuhio wanted to restore the Hawaiian people to their former self-sufficiency as farmers, ranchers, and homesteaders. In 1921, the Hawaiian Homes Commission Act granted approximately 200,000 acres to native Hawaiians for those purposes. Those with at least 50% Hawaiian blood were eligible. The act remains in effect today, subject to periodic amendments. Labor disputes got more serious around this time. A 1924 strike by 3000 Filipino workers turned into riot, leaving sixteen workers and four policemen dead. The strike's leader, Pablo Manlapit, was deported. With the large numbers of immigrant workers, Hawaii's population had exploded, especially its Asian population. Because the Gentleman's Agreement had not had its intended effect, the U.S. Immigration Act passed in 1924. It ended virtually all Asian immigration to the U.S., including picture brides. Being so outnumbered, Hawaii's whites wanted more people from the mainland to settle on the islands. But when the Great Depression hit the mainland, most people there were struggling just to survive. However, Pearl Harbor and other military facilities were beefed up in the 1930s, bringing in many soldiers and sailors. President Roosevelt's strengthening of labor laws and unionization gave Hawaii's laborers more power. The 1935 National Labor Relations Act guaranteed the right to organize and use collective bargaining. Filipino workers again went on strike in 1937. Since they constituted two-thirds of the labor force by this point, they were hard to ignore. Their efforts netted a 15 percent pay raise. Next, the International Longshoremen and Warehousemen's Union (ILWU) became a powerful force. They led a strike in 1938 against the Matson Line, the Big Five's shipping branch which controlled virtually all Hawaiian imports and exports. With the strike's potential to halt all trade, the situation was a powder keg. In Hilo, violence broke out, and police gunfire wounded 50 workers. The so-called "Hilo Massacre" ended the strike without any concessions to workers. When World War II began with the bombing of Pearl Harbor in 1941, martial law was declared in Hawaii and labor disputes ceased.